Use your visitor information to personalize your gaming portal. An example on how PaddyPower could do it! 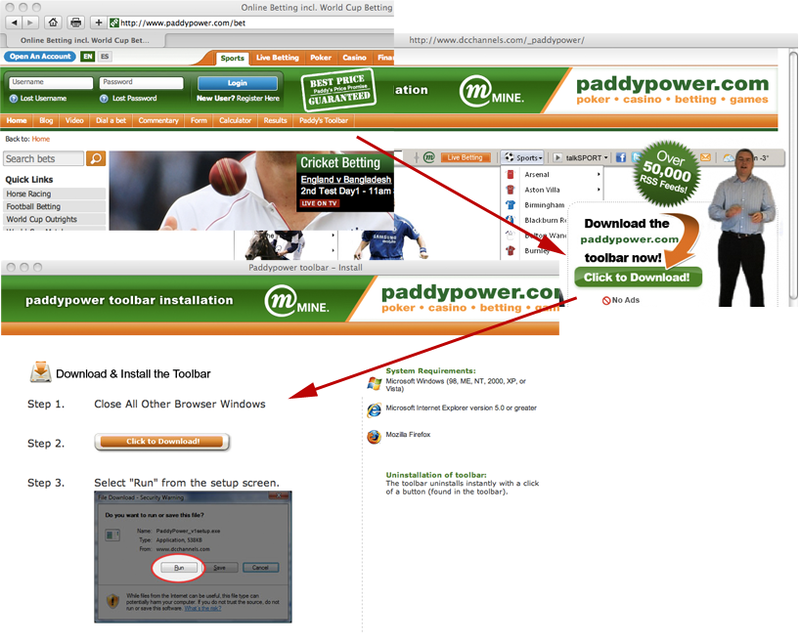 PaddyPower’s “Paddy’s Toolbar” feature caught my interest the other day. I continued to click on the link to get more information about it and got to the second page with more information regarding it. It all looked good and I clicked on the download link “Click to download”. I got very disappointed when I got to the download page just to find out that it only works on a PC and not on my Mac. 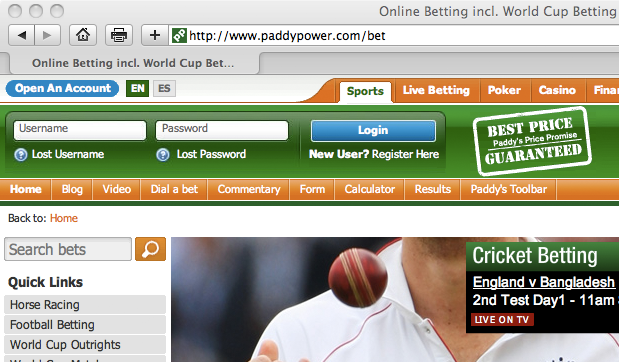 PaddyPower knows what kind of OS I am on and could inform me a lot earlier that it didn’t work for me. Even better would be if the link weren’t there to take my interest away from the betting I was about to do.